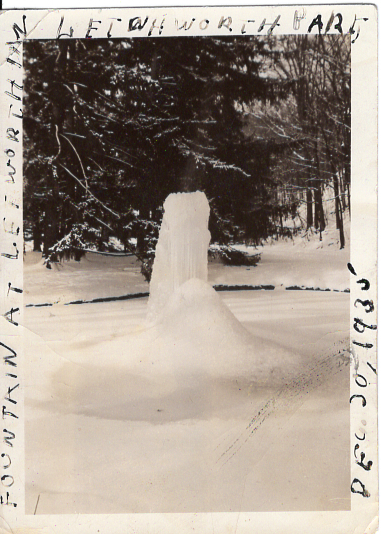 This is Page 2 of our Letchworth Park Memories. Go to Page 1 for more memories and for instruction on how to send in your families favorite memories and photos of the Park. Thanks Fran for sharing this photograph memory! 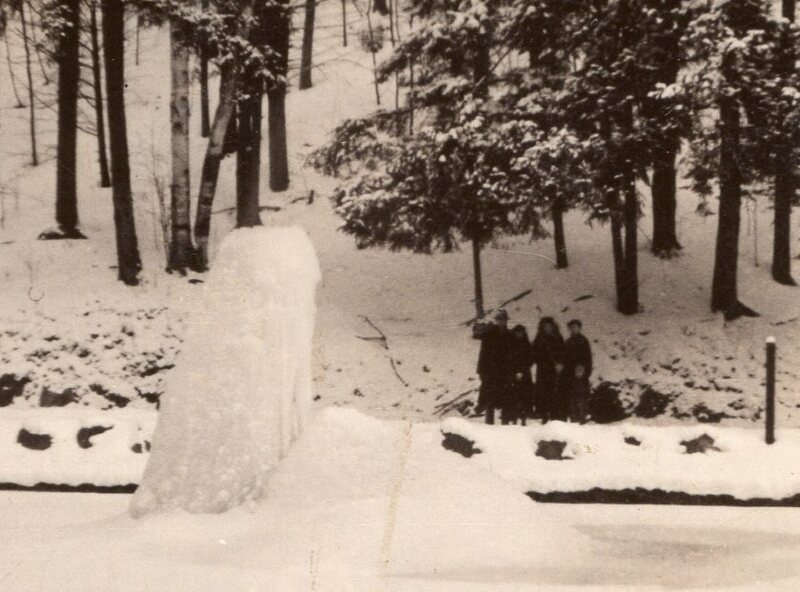 You will find other photographs of the Fountain in our Historic Photo Album. I grew up on Schenck Road. 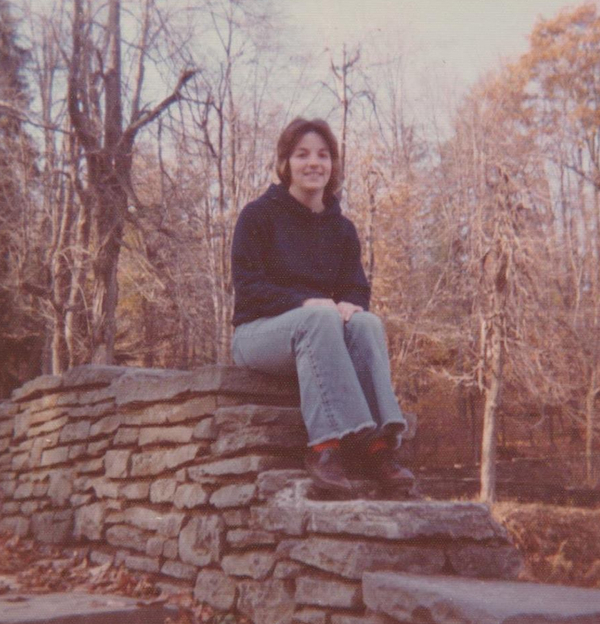 My parents took us hiking many evenings and Sunday afternoons. We cooked breakfast at Wolf Creek many times, went camping and always enjoyed this "jewel" that was just down the road. I am still loving it. It is part of my soul! 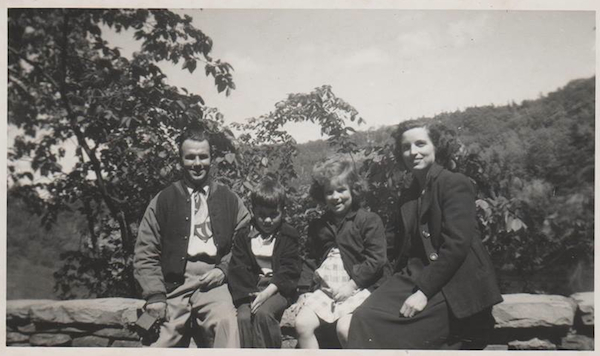 Charles, Alan, Cynthia and Laura May Myers on a Sunday afternoon in 1949. Ann Myers enjoying the Park on a Sunday afternoon about 1984. 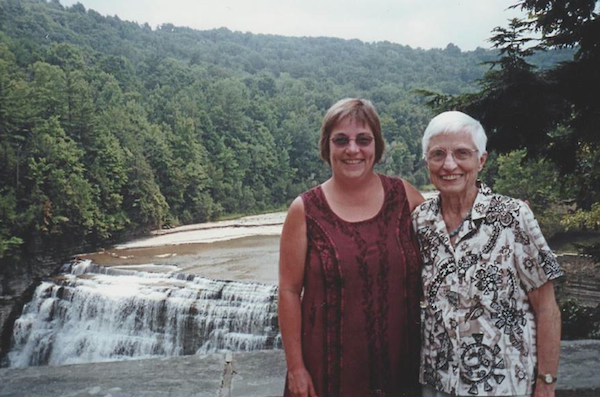 Ann Myers Liberatore and Laura May Myers after a wonderful lunch at the Glen Iris Inn 2010. 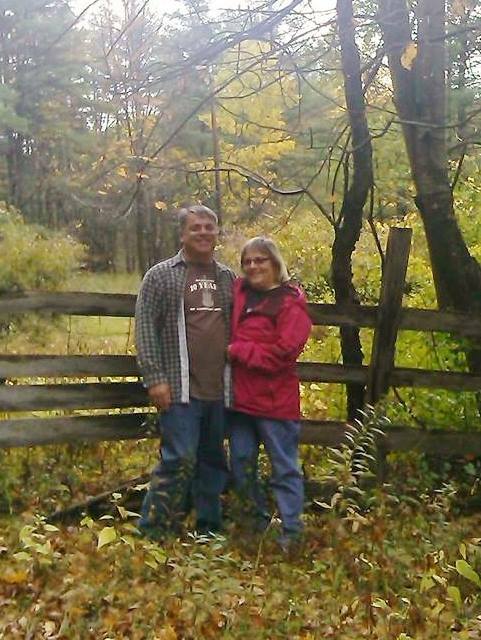 Ann Myers Liberatore and Bill Liberatore enjoying a hike around the Trout Pond in the fall of 2014. My Grandfather, Daniel VanCise was the butcher in Castile NY. He delivered fresh meat to William Pryor Letchworth at his home at Glen Iris. He was also responsible for meeting the train after it crossed the bridge to get the mail for Mr. Letchworth and deliver it to him. 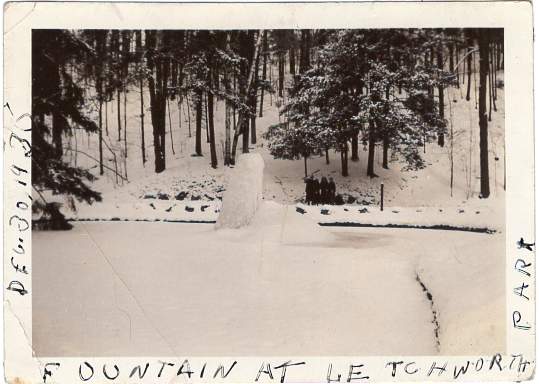 Although I was only 3 years old and barely remember my grandfather VanCise (my mom's father) I have heard many stories about my grandfather's relationship with Mr. Letchworth. 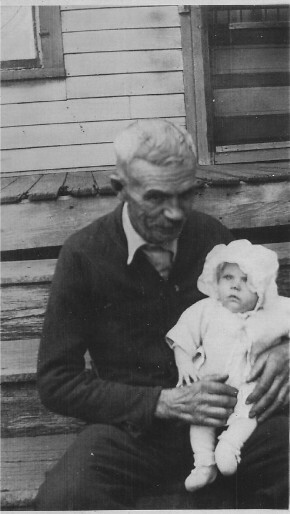 Here is a picture of my grandfather, Daniel B VanCise. He is holding my sister, Lois. We figure he must have been about 70 in that picture. He was born in 1867. For More Memories and to learn how you can contribute, go to the top of the page.